What is it? 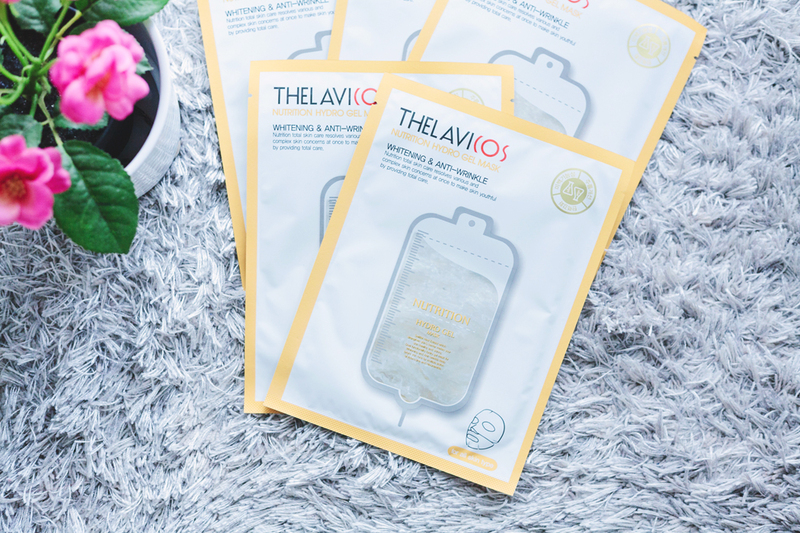 Thelavicos claims: "It is a dual functional hydrogel mask for whitening and wrinkle improvement. Vitalizes your skin to be resilient and radiant. Keeps your skin tone bright by multiple action of adenosine and niacinamide." Hydrogel masks are pretty much the same as regular sheet masks, with the only big difference being the material they are made of. Instead of cotton or fiber, hydrogel masks are made of well, gel. 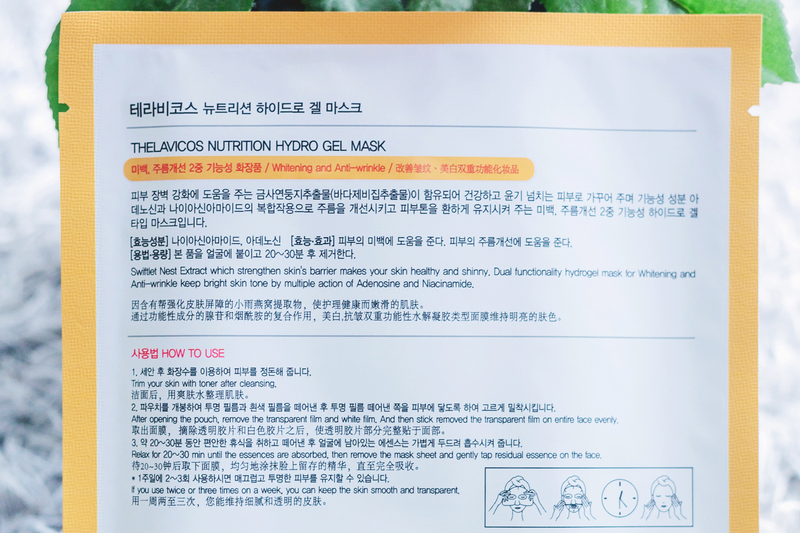 This ensures higher absorption of the essences in the mask, as the gel material can lock in moisture much better than cotton or fiber sheet masks. Swiftlet Nest Extract – If you're not aware, this basically means "swiftlet saliva", as a swiftlet's nest is made from mostly that. There have been numerous claims that bird's nest, when used as an ingredient in skincare, can strengthen the skin's barrier, but I'm not entirely sure if it's true as I haven't seen any academic journals that prove it. Lactobacillus/Soybean Ferment Extract – Protease inhibitors fade and prevent UV discoloration. Isoflavones (genistein and daidzein) may inhibit collagen breakdown, promote collagen and hyaluronic acid synthesis, and act as antioxidants. Good for: fine lines, uneven/dull skin, sunspots. Palmitoyl Tetrapeptide – a synthetic peptide used in beauty products and cosmetics to suppress the production of excess interleukins, the chemical messengers which trigger the body's acute inflammatory response. Boosts the growth of the connective tissues and naturally increases the production of collagen in the skin. Most of the info above was taken from r/AsianBeauty. Full ingredients list and COSDNA analysis here. Remove after 20-30 minutes and gently tap with your fingers to help absorb the remaining serum on your face. Use it two to three times a week. 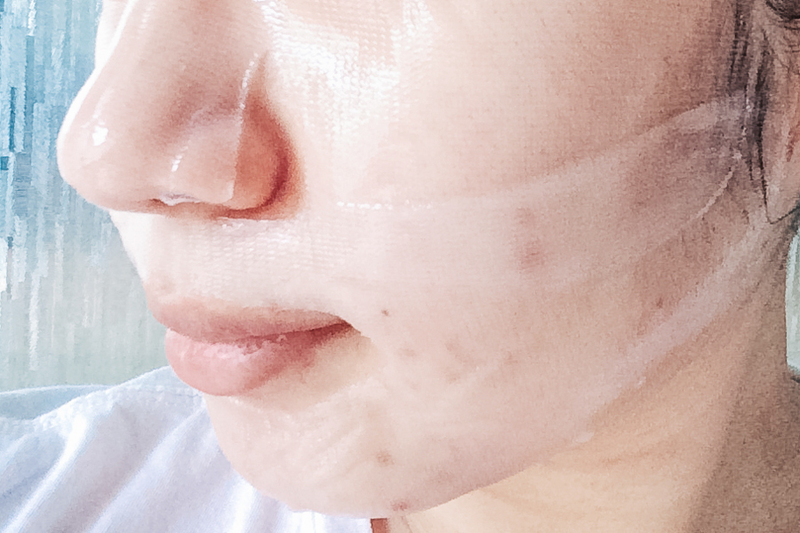 The first time I used this mask, it felt so weird because the whole thing felt A LOT like jelly. I think I took about 2-3 minutes just trying to figure out to put the mask on my face! First time users might have a hard time putting it on, but you'll get the hang of it. The mask comes in two parts – one part for the forehead up to the nose and cheeks, and the other part for the chin area. I quite like that they're two parts because I always have issues with how sheet masks fit. Since it's cut in two, it's easier to adjust both parts to fit my face properly. When you take them out of the packet though, everything is all smooshed together so it's a bit hard to figure out which part is which. The best thing to do is to lay out everything on a counter and remove the jelly mask out carefully from the plastic films. 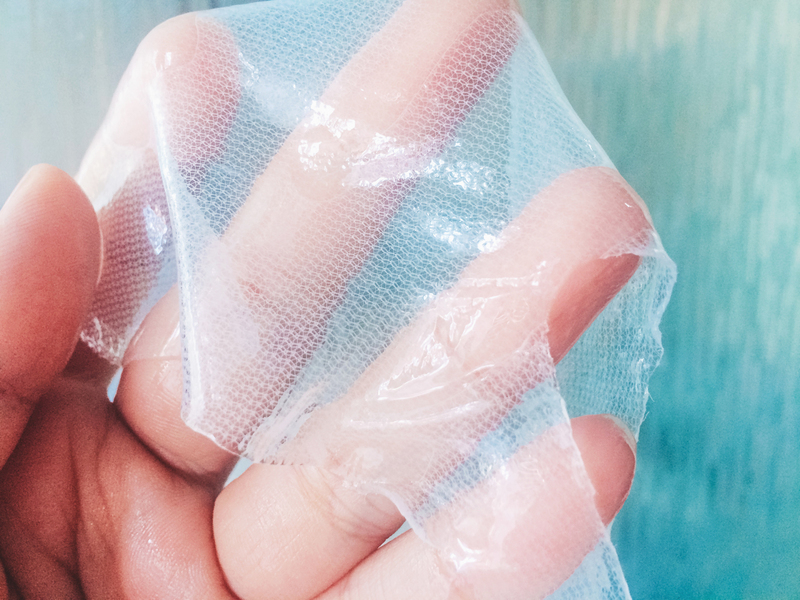 This hydrogel mask also features a honeycomb texture on it, to keep it from slipping down your face. 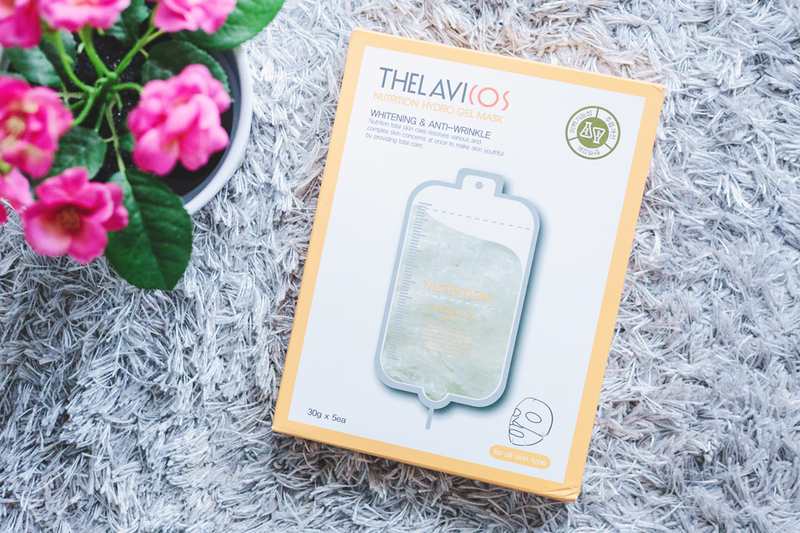 The mask is quite slippery with all the essence though, so it'll still slip down a bit even with the texture, so I usually lie down when I use this. There is a noticeable floral scent when you put it on, but it goes away after a while. It doesn't bother me and my sensitive nose much. Right after taking the mask off, my skin looks visibly brighter and more even-toned. My face also feels more hydrated. From my initial impression, I thought that the immediate effects of this mask were above average and much better than my usual masks, but not particularly amazing. I still think that way until now. 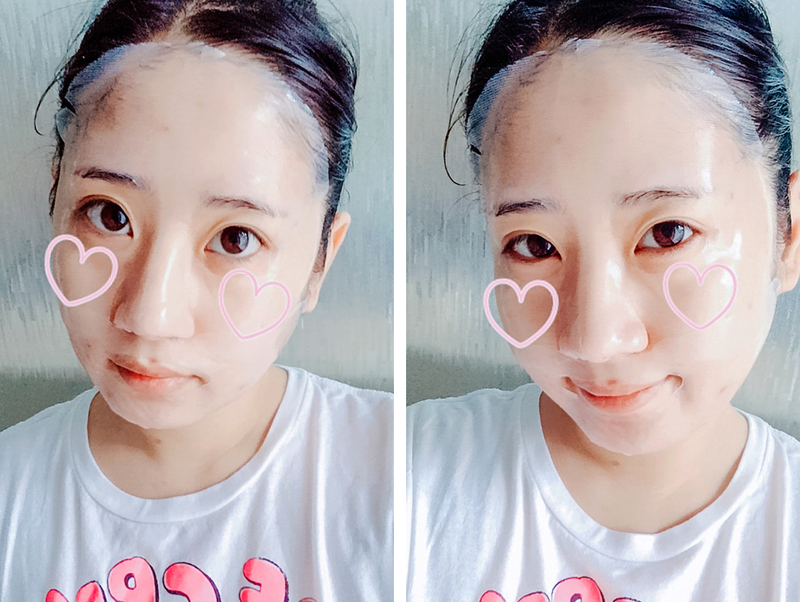 I say this because I've tried masks that had amazing immediate results before – one of which also had bird's nest as its main ingredient, coincidentally. I also would not recommend this as a pre-event mask, as I noticed it leaves a thin film after you remove it. That's not an issue if I'm just going to bed, but not if I'm putting on makeup afterwards. (If you want to use this as a pre-event mask, I recommend using it the night before, and then just wash your face with water the next morning.) 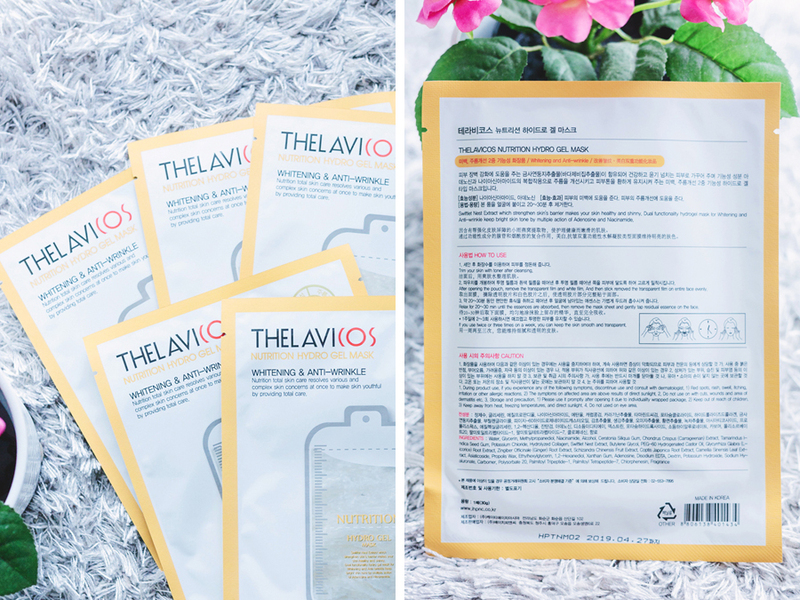 After a month of using this mask twice a week, I saw a more noticeable change in my skin. My skin is noticeably softer and bouncier. I can't say much about the whitening / brightening claims. Since my routine is almost 80% whitening / brightening products, I have no way of pinpointing what's been doing what for my PIH. This has helped a lot in calming redness and breakouts though, so I quite like it. Definitely one of the better masks I have in my stash. At ₩33,500 for a box of 5, that's ₩6,700 for one sheet mask. That's almost P280 a piece, which I personally think is a bit pricey for sheet masks. Considering all the great ingredients in this product though, I'd say it's worth buying! Unfortunately, I couldn't find any international shops selling this mask. I managed to find the company's official site, but even their site doesn't have its own shop or a link to any shops selling this product. If I find one in the future, I'll make sure to update this. DISCLAIMER: This product was sent to me by bntnews for review, but the opinions expressed here are 100% my own. Financial compensation was not received for this post. Please see my full disclaimer for more information.